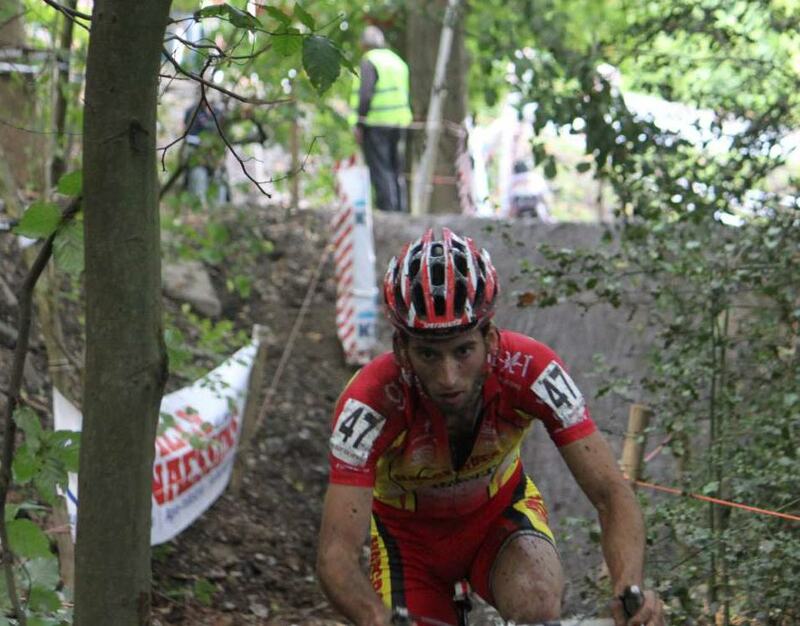 Home Blogs Cyclo Cross Pro Ian Field's Blog The Namen Round of the GVA Series – 13th! Hey folks, first round of the GVA series – it’s one of the big three (World Cup, Superprestige and GVA) top 20’s at these races were my aim for the year, I got 13th at Namen. It’s strange, I almost feel like I don’t need to write about it: 13th at a GVA speaks for itself. A great result, but it certainly wasn’t easy. A good start, I rode with my head, had good legs and technically rode well on a super hard course. Many people were surprised with my result but deep down I kind of knew after the first two races that I had a big result within me I just didn’t know when it would come out. I was over the moon with the result, riding with guys I used to watch on TV and get nowhere near, this was quite strange and when I flew past Sven Nys with 2 laps to go I thought I was dreaming. Fair enough he was on a bad day and his head must have been all over the place riding in about 10th position but hey even, so still not many people can say that! I know quite a few people watched the race on the ‘net back in the UK, I was really happy to hear I had received some TV time and it’s also really nice knowing people back home are supporting me. This week I have trained reasonably hard including two days training with the Sunweb team which is managed by the legend that is Mario de Clerq, four times World Cyclocross champion, both days were based around off road sessions. Skill plays a big part when racing on conditions like this. Mario knows so much about the sport and spending this time watching and listening to his advice is really important in my development, I have always concentrated on the conditioning side of ‘cross more than the technical side and he has really opened my eyes to the different technical skills really needed to be a top ‘crosser. I can see a lot of areas where with a small amount of work I can improve leaps and bounds. Getting off and carrying the bike is obviously a big part of the discipline. Finally this week I did my first motor pacing session of the season, motor pacing should be a stable regular session in any ‘cross riders training programme and so mine has now begun. Ronny rocks up at the meeting place in his Berlingo van, gives me a quick lesson in the art of ‘Ronny’ motor pacing sign language, opens the rear doors to provide me more shelter, and drives off. I catch up and slot in nicely on the bumper, and it’s at this point that I realise Ronny’s van is has a tow bar attached – very useful if you’re towing a trailer (like many Belgians do) but when motor pacing it’s really not what you want! So I’m restricted to one side of the van, and hoping I don’t drift across the bumper towards said tow bar. The session was all about leg speed and a fairly low heart rate but even to raise the HR behind a van with this setup you have to go at least 60kph along the flat. Under heavy braking one of the doors slammed shut, thank God I had backed off for the junction. Next corner the other door slammed shut. Ronny promises me this isn’t normal. However this continues to be the case at nearly every sharp corner… despite all this I managed to get through the session and got a great workout from hitting 80kph along the flat on the way home – that was the highlight for me. Ronny is working on some kind of prop system where the doors are wedged open for next week! 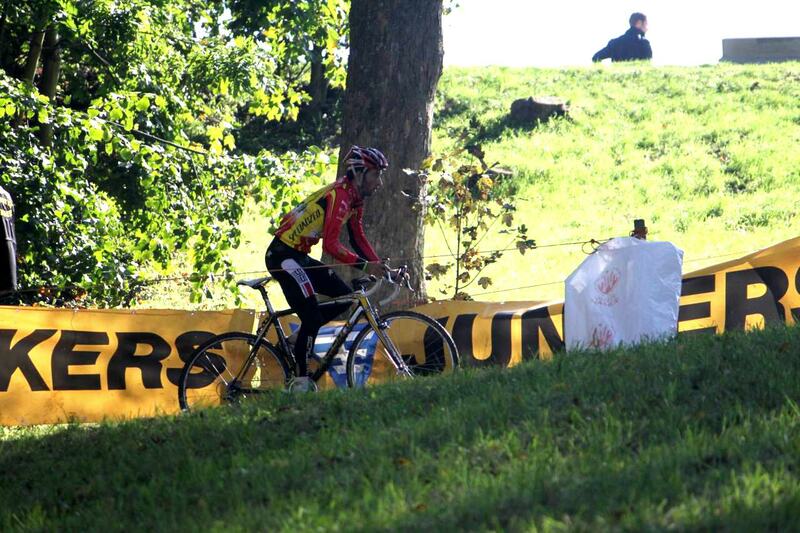 Next up is the first round of the Superprestige at Ruddervoorde. I really want another top 20 but the course really doesn’t suit me and in previous years I have struggled here. Hopefully this year will be different and with a good start I can do another top ride. Thanks for the on-going support from everyone! ‘Til next time, cheers, Ian. What's happening at Plowman Craven, but I guess we should say 'Madison', now? With Scots professionals Evan Oliphant and Ross Creber on their books, we thought we'd best find out what's going on.